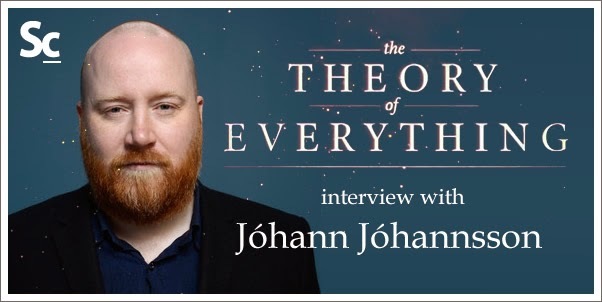 Christopher Coleman talks with composer Jóhann Jóhannsson about Golden Globe and Critics Choice nominated score for THE THEORY OF EVERYTHING. Jóhannsson shares his reaction to finding out about his Golden Globe nomination, his thoughts on some of the other scores nominated, his involvement in the production of the soundtrack and how the voicebox voiceover of Stephen Hawking effected the score. 04:33 — Becoming a part of "Everything"
Special thanks to Erica Hungerford at Brigade Marketing.